Blu-ray products. 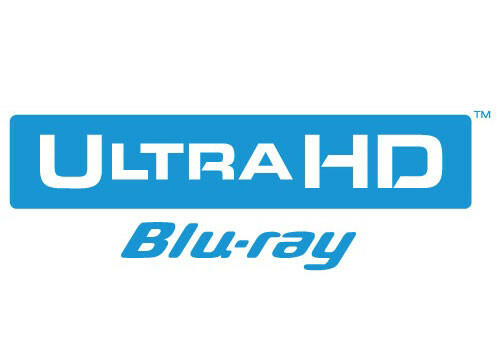 The Ultra HD Blu-ray specification, which represents the work of global leaders from the consumer electronics, IT and content creation industries, will enable delivery of Ultra HD content via Ultra HD Blu-ray Disc to the rapidly growing number of UHD TV households. The completed Ultra HD Blu-ray specification addresses a range of factors, beyond simply increasing resolution, that will significantly enhance the home entertainment experience for consumers. In addition to delivering content in up-to 3840 x 2160 pixels resolution, the Ultra HD Blu-ray format enables delivery of a significantly expanded color range and allows for the delivery of high dynamic range (HDR) and high frame rate content. Next-generation immersive, object-based sound formats will also be delivered via the Ultra HD Blu-ray specification. Additionally, with the optional digital bridge feature, the specification enhances the value of content ownership by embracing the notion that a content purchase can enable the consumer to view their content across the range of in-home and mobile devices. Will Ultra HD Blu-ray also require licensed software to play on a PC like the regular Blu-ray does? I find it quite a turn off that you cannot play blu-rays with VLC or MPC-HC, I hate that CyberLink garbage. this is for the 12K elite. i am just starting with Blueray at home and finds its definition more than enough, on laymans UltraHD screens of course. I am 99% sure that it will require licensed software to play. A software player as an option would probably need something like a GTX 960 since it has H.265 / HEVC decode / encode. Take note that the GTX 980 and 970 only have H.265 / HEVC encode which means they cannot assist in CPU offload for playback. Since I gather there will be greater compression with Ultra HD Blu-Ray it stands to reason that it will either tax the CPU greatly or tax the CPU greatly and yield poor performance (choppy playback) without CPU offload via a supported GPU. Thats just a guess based on the introduction of Blu-Ray software players to the PC market. As for hardware players it would be nice if Microsoft and Sony simply introduced add-on optical drives for the Xbox One and PS4. As long as HDCP 2.2 isn't a requirement that might be a possibility (I don't think either support HDCP 2.2). Generally speaking though, if you've paid a noteworthy sum for a new 4K UHD TV with HDMI 2.0 then chances are you already have access to some 4K media via user installable apps such as Netflix, Amazon, M-Go and a few others. Sony also has the FMP-X10 Ultra HD Media Player which for once isn't restricted to Sony only 4K UHD TVs. Its pricy but it should allow access to even more 4K media. Though I don't know much about it, the FMP-X10 seems to have local storage so it isn't necessarily just a streaming device. Bottom line is, Ultra HD Blu-ray might yield a great experience whenever it arrives but it is a little late to to the party. You mean the movies that are constantly updated and remastered and consumer has to pay for every new version to have it, the first time he buys the normal version and then they release diamond edition or remastered in 4K edition or extended edition. I can play Bluray movies fine with MPC-HC and I agree with you that Cyberlink player will use additional PC resources if you do not have the most expensive Cyberlink version to downmix audio to the version that your Cyberlink version supports. It is very inefficient. A software player as an option would probably need something like a GTX 960 since it has H.265 / HEVC decode / encode. Take note that the GTX 980 and 970 only have H.265 / HEVC encode which means they cannot assist in CPU offload for playback. You can also use software decoding which is much more reliable than the hardware decoding, I got a few bad frames when I was using Intel QuickSync. That is why PCs are so good, you do not need to upgrade hardware to support latest standard (h.265). As long as HDCP 2.2 isn't a requirement that might be a possibility (I don't think either support HDCP 2.2). HDCP and Cinavia crap are required on all proprietary video players and Bluray players, which is really weird because why should user pay for these useless features that thwart your attempts at playing backed up media and protect video stream from output device to the monitor. HDMI 2.0 was implemented in a very few devices and I think we can all agree that DP is becoming the new HDMI. You can bet they will not stream video at ~80 Mbps (which is a very low bitrate for 4K video even with x.265 compression), because ISPs will revolt and complain they do not have enough bandwith. All in all it seems companies will fail again to bring their playback functionality to opensource software and leave them to fend for themselves. Sure but the hardware still has to be able to keep up or the performance will suffer which was the point I was trying to make. If typical current hardware can decode with good performance in software via the CPU then great. I haven't heard of Intel QuickSync being used for 4K decode but if it is and it works well then great. No argument there but if the media comes with it as a prerequisite most people (average consumers) who buy a 4K UHD TV are likely going to want to go the easiest route. Which means they want their new purchases to support it especially since content providers are implementing it. HDMI 2.0 is being implemented in newer devices given that its relatively new. Very few 4K UHD TVs have DisplayPort while most if not all new 4K UHD TV models have HDMI 2.0 support (late 2014 models and 2015 models). I think its likely that UHD Blu-Ray will look better then any 4K streams today although I don't know much about the Sony FMP-X10 Ultra HD Media Player. If it caches it could have better quality then typical streams. As for opensource software, maybe we will get their but my guess is such tools will need to force their way in initially. So the new UHD Blu-Ray protection mechanisms will likely have to be cracked first. That might take less then a day or so after release or it could take a good deal longer. Glad to see they got this finalized. A couple of issues they're going to have is that there is already a battle of patents with licensing for x265/hevc. So that may shy a few companies away. Another thing that isnt mentioned here is that HDMI 2.0a is needed to pass HDR (which most are calling better vs 4k). Many people are already becoming quite turned off with all the new new hardware versions necessary. The BDA just loves to shoot themselves in the foot. I wish Displayport would catch on in the theater market, but I dont think it will. Any modern CPU which costs more than $150 can handle 4K HEVC just fine. I really don't understand what you're talking about. VP9 is really hard on CPUs though. 4K VP9@60fps can easily fully saturate a CPU like i5 2500. They give away free software. I've seen two Blu-ray playing software in the last 6 months and I don't pay attention that often to it. One of them was Aiseesoft Blu-ray player. I'm not sure on the resources, but it seems pretty good. I can't complain since it was free anyway. Will it be a failure like blu ray? How much will the blanks be? And how much data does it hold? And the licensing shenanigans as well as backwards retardation of region locks.... is all that crap still going to be present? you need to sit 3 feet away from a 55" 4K television which is not practical so most consumers are not going to sit close enough to even see a difference. Well, first 4K movie has 12 bit colour depth (Timescapes) and Dolby already missed their opportunity.